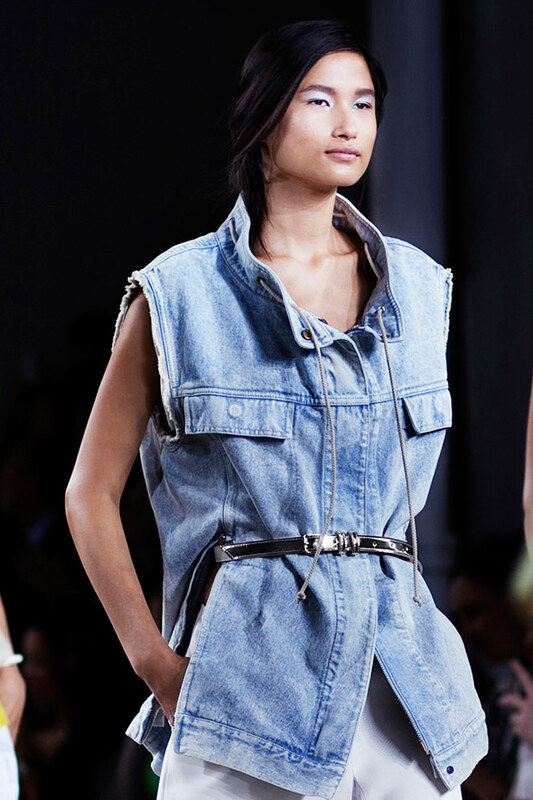 The perfect shade of denim for summer. Boxy, oversized with the feminine cinched in waist. The right mix of boyish femininity. 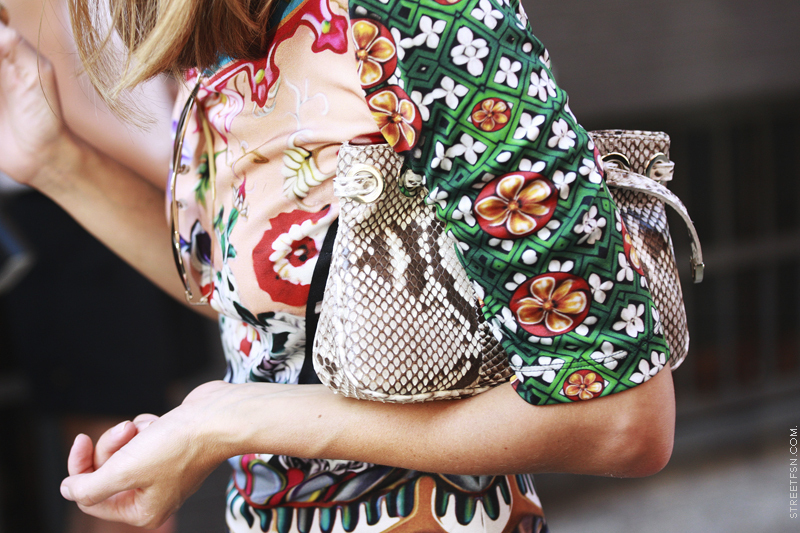 3.1 Phillip Lim, thank you for the perfect summer item. These days fashion week is not just about what is going on on the catwalks but also what happening off the catwalk. So this week’s installment of inspiration comes form the streets of NYC as seen through the lenses of StreetFSN. Love, love, love this collection. The matte red lipstick sets the whole thing off. The graphic petal print – the result of a collaboration with nineties graffiti artist KAWS features on blouses, dresses and trousers, proving its versatility. 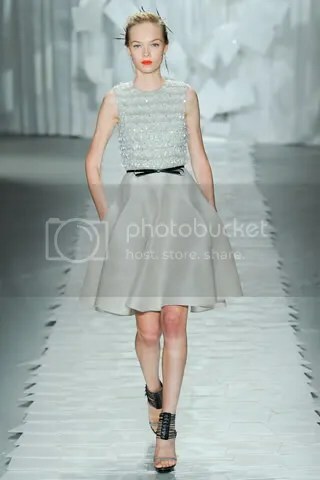 Jason Wu ticks all the boxes for the modern girl’s wardrobe with simple shapes and subtle but impactful details. It’s New York Fashion week and the start of fashion month. Exciting times. 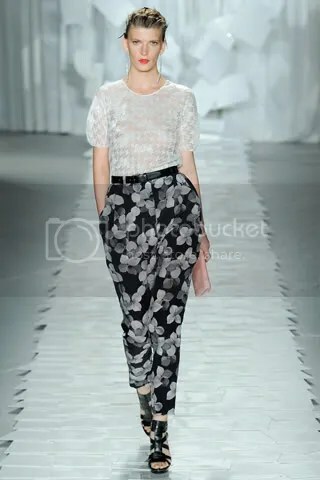 I’ve been trawling through style.com‘s extensive coverage of the shows (highly recommended during fashion month) and I’m loving Peter Som’s collection. 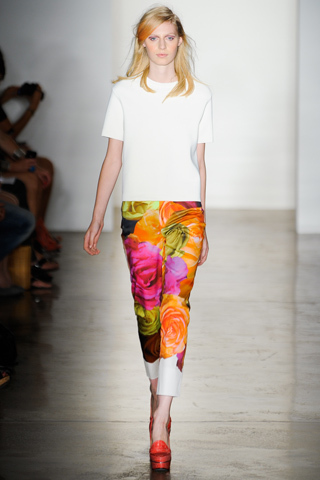 Flowers and colour blocking seem here to stay but Som’s interpretation is not too girly and teamed with the seemingly perfect tee and the red Charlotte Olympia loafers? Yes, please. After watching Adele on The Jonathan Ross Show my love for her catapulted. Not only is she gorgeous, she’s down to earth and rocks big hair like no other twenty-something year old I’ve seen! 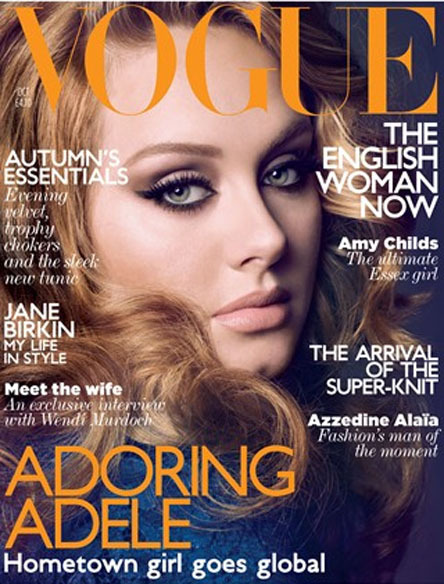 Her Vogue UK cover cements my love for her and they sum it up so well… Adoring Adele. Nuff said. I started rolling out my winter wardrobe this week and then the weekend threw a little sunshine surprise. 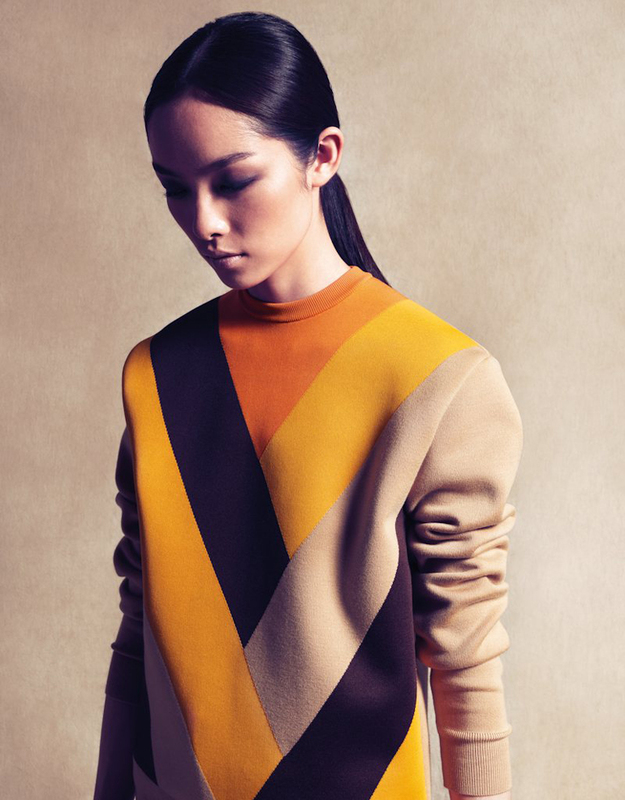 This Celine jumper featured in Vogue China‘s September issue is making me want the cold more than ever. Goodbye Summer.